Ping has ponged. 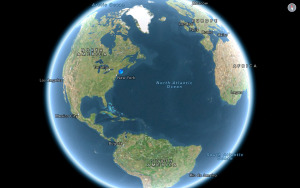 Apple’s social networking service for music, which debuted as part of iTunes 10 in 2010, has come to an end. A message on the service says that it will no longer be available as of September 30. The news was first reported by 9to5Mac. Ping’s slow fade to dust won’t likely be cause for widespread tears and mourning. The service had largely become a ghost town, and critics—including our own Christopher Breen—knocked it for falling short on many fronts, including lack of integration with more established social networks, poor recommendation algorithms, and sharing features that were’t fully baked. 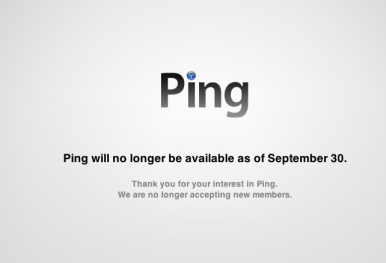 So perhaps it’s both goodbye and good riddance to Ping.